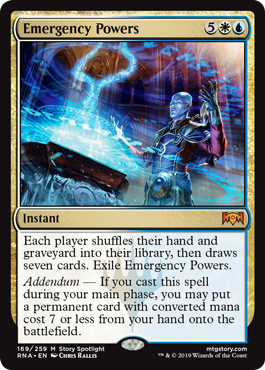 Card Text: Each player shuffles their hand and graveyard into their library, then draws seven cards. Exile Emergency Powers. Addendum - If you cast this spell during your main phase, you may put a permanent card with converted mana cost 7 or less from your hand onto the battlefield.